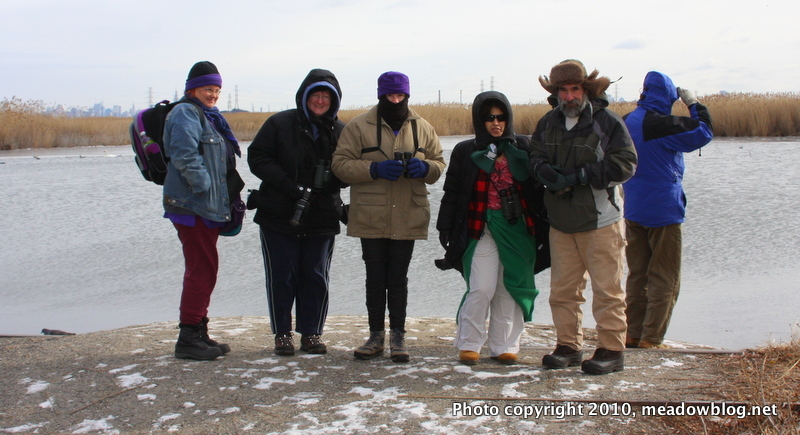 Twelve of us were at DeKorte for the First Sunday of the Month bird walk. 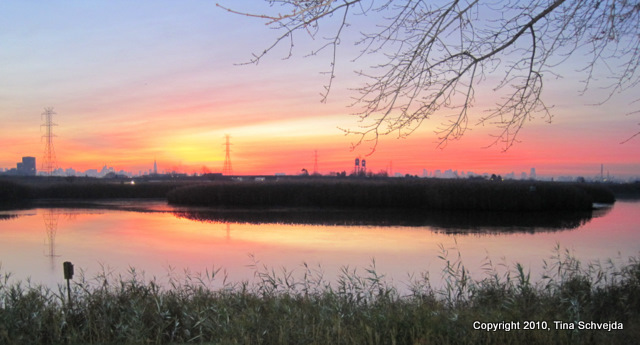 We had a lot of great looks at neat birds, including several Northern Harriers, Common Mergs, Hoodies, Gadwall and Canvasbacks (but no Pintails). 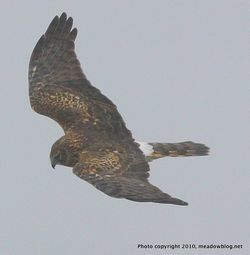 Walk leader and early birder Don Torino also had Bald Eagle and Peregrine Falcon by arriving early. Chris Takacs reports: "Anyone looking for the Northern Shrike in the Meadowlands may be out of luck today. I just saw the Shrike in my yard! I live walking distance from the bird's latest haunt."